Abstracting from the technical issue, discussed below, what are we to make of Stephen Harper’s choice of Marc Nadon for the Supreme Court of Canada? Quite apart from the technical issue, commentary judged him undistinguished, only chosen because Harper liked his dissent in a case concerning Omar Khadr. Harper wanted to plant a pliant judge, deferential to the government, on the Court was the theory. In doing so he was ‘politicising’ the Court. Nadon was the 6th judge Harper had ‘nominated’ to the Court, as we now say in our Americanised understanding of these things. US presidents nominate judges. Their appointment must be confirmed by the Senate. In Canada judges are simply appointed by the Governor General on the advice of the government. But, in the case of Supreme Court of Canada appointments, this has become confused by a ‘process’ that has emerged in clumsy emulation of the Americans. As followed by Harper, this consists of a Supreme Court Appointments Selection Panel of MPs going through a long list of prospects and coming up with an unranked short list of three from which the Prime Minister makes his choice. Commentary has also followed the American example, looking for the politics in the choices, as there undoubtedly is in Obama’s. In the States most judges can be labelled progressives or conservatives, likely to be chosen by Democrat or Republican presidents respectively. But Canada is not the States. If Harper wanted to stack the Court with conservatives, he wouldn’t know how to do it. And, on the record, he hasn’t even tried. Every one of Harper’s choices had been appointed to a lower court by a Liberal government. And what have they done for him? Three of his appointments figured in the majority that turned down Nadon. Two in the unanimous court that turned down the national securities commission. Four in the unanimous Court that ‘dealt another blow’ to him in the recent Truth in Sentencing Act judgment, the reasons written by Madam Justice Karakatsanis, the previous choice spotlighted by Harper Court theorists. Five in the unanimous Court that handed him the political embarrassment of the prostitution case. As for the ‘process,’ his last four choices have passed through the peculiar all party Selection Panel, unknown to law. The Globe’s Jeffrey Simpson complains that the Selection Panel had little time and only got to read a selection of judgments by the judges under consideration. What would he have them do? Constitute themselves as a head hunting firm and beat the bushes for prospects, take applications, seek references, conduct interviews? Appointing people to offices is an executive function. In the US the Senate doesn’t choose judges. The President does. The Senate only confirms his choices. If a group of MPs is capable of expressing any intelligent preference, which is very much to be doubted, they can do it on the basis of some background material and reviewing judgments. Who is ‘politicising’ the Court? It is the commentators who imagine Harper’s scheme to make a Harper Court who are politicising the Court. Lawyers should be appointed judges who understand the law, can take in and assess the arguments made before them, come to a decision and explain it in cogent reasons. It is the commentators who would add to these qualifications, or substitute for them, that a good judge should see things at The Globe, The Star and the CBC see them. Should use their seats on the bench to advance a liberal consensus and stymie conservatives. They want a political bench, as long as its politics is correct. They needn’t worry. Judges come from the comfortable, conventional bourgeoisie, listen to the CBC, take The Globe, if not The Star, and are in thrall to the progressive ideology of the law schools. There was no “court order repatriating Canadian child terrorist Omar Khadr” as the press had it. The courts could not issue an order repatriating Khadr. That was up to the Americans. Nadon did not say he should not be repatriated. He said the government should not be ordered to ask that he should be. And the Supreme Court of Canada, including seven judges appointed by Liberal governments, agreed. It was under a Liberal government that the Court held Khadr’s rights had been violated. And, in the event, Khadr has been ‘repatriated,’ at Canada’s request, and is in a comfy Canadian gaol. There is no reason to think that Nadon, had he been permitted to sit on the Court, would have served out his term finding for Harper, or his successors, whoever they may be. He wrote for the Federal Court of Appeal in holding that the government had violated the rights of the blind. I have a problem with the Supreme Court of Canada. But I see no solution in searching for a school of ‘conservative’ judges and packing the Court with them. The way to a solution lies in understanding what judges should do and what they are doing, in sorting out the law schools and turning away from our obsession with the politicised American courts and the political process by which judges are appointed. Having decided, on the questionable grounds I discuss below, that Marc Nadon, because he is a judge of the Federal Court of Canada, is not eligible to take one of the Quebec seats on the Court, the majority of the Supreme Court of Canada went on to consider whether it would require a constitutional amendment to make Federal Court judges eligible. The Constitution Act, 1982 in para. 41(d) includes ‘the composition of the Supreme Court of Canada’ among the matters that require the consent of all provinces for amendment. Very reasonably, the majority concluded that changing the law, as they had interpreted it, to make Federal Court judges eligible to take Quebec seats on the Court would change its composition and require unanimous provincial consent. One might say that Sections 5 and 6 of the Supreme Court Act say that the Court must be composed of such and such people. The government argued that, as Section 101 of the Constitution Act, 1867 granted Ottawa the power to create the Supreme Court of Canada, and other courts, but there is no provision in the Constitution Acts maintaining the Court, Ottawa retains its power to do with the Supreme Court whatever it likes. In support of this, it pointed out that the Supreme Court Act is not included in the schedule of acts forming part of the Constitution as defined in Section 52. In interpreting an enactment courts are bound to try to find some meaning in even the obscurest language. But to infer from anything beyond the language of the enactment, from history or what the court thinks would be best, that the framers intended something is a dangerous step. There is no ground for assuming that the framers of the Constitution Act, 1982 knew what they were doing in every detail from any point of view. It is in many respects a botched job and it is not the job of the Supreme Court to write the constitution the framers should have written, to make up for their failings in the last four days after years of confused palaver. The provinces intended nothing. Their premiers and attorneys general took political stands excited about some things, opting out, natural resources, the Charter, and neglecting others. They settled on some words, which were refined by legislative draftsmen. It is for the Court to interpret those words by the received standards of statutory interpretation. When it came to what amending formula would apply to what aspects of the Constitution, neither the politicians nor the draftsmen seem to have thought the ‘matters’ through. This leaves the Court with a difficult task. But, again, that task is not to speculate as to what they would have done had they thought more carefully or to try to infer that from the mass of words emitted in the course of the negotiations but to interpret the words of the Constitution Act as they stand. If that means some things seem too easy to change and others practically impossible, whatever the merits of the change, that’s what the ‘framers’ have done for us and we, and the Court, must live with it. Does it mean that Ottawa could not legally have abolished or totally reshaped its creature, the Supreme Court of Canada, before 1982? It was never a political question and would never had been done. But it could legally have been done. Indeed the abolition of appeals to the Privy Council, leaving the Supreme Court of Canada, whose judges are appointed by Ottawa, as the final court of appeal, was itself a radical step taken by Ottawa on its own. The oddity of the Court’s reasoning and its implications is highlighted by its unnecessary discussion of paragraph 42(1)d, which includes ‘the Supreme Court of Canada’ among the ‘matters’ that require the consent of seven provinces having half the population for amendment. The Court continually qualifies this as protecting the ‘essential features’ of the Supreme Court, which ‘include, at the very least, the Court’s jurisdiction as the final general court of appeal for Canada, including in matters of constitutional interpretation, and its independence.’ But ‘essential’ is the Courts interpolation. What does the matter of ‘the Supreme Court of Canada’ mean? The whole 36 pages of the Supreme Court Act? Would an amendment to subsection 58(2), which excludes July from the calculation of time for filing appeals require the consent of seven provinces. One assumes the Court would say no. But where it might draw the line must be a matter of speculation inviting further references. One aspect of the botching of the Constitution is the obscurity of the amending provisions. Nadon is only one of three cases before or heading to the Court asking clarification of what requires an amendment to the Constitution and with what provincial consent. The Senate reference and the Succession to the Throne Act callenges are the others. The Supreme Court Act was in fact amended in 1985 in the regular revision of statutes producing the Revised Statutes of Canada, 1985. This is approached as a technical housekeeping measure but it involved changing Section 6 to replace a reference to ‘the Court of Queen’s Bench, or of the Superior Court’ of Quebec with a reference to ‘the Court of Appeal or of the Superior Court,” Quebec having rearranged and renamed its courts. While superior court judges are appointed by Ottawa, the provinces establish the courts. Section 5 refers to ‘superior court of a province’ without capitals, a generic phrase, which would cover courts whatever they were called and however they were arranged. But Section 6 uses capitals to name the Quebec courts as they are legally named in Quebec legislation. 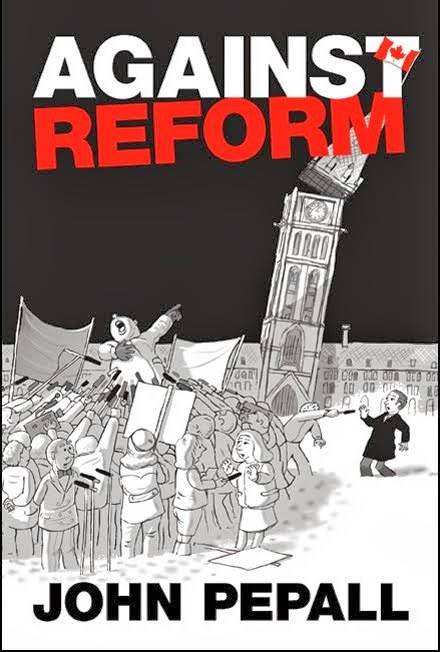 Referring to the 1985 change the Court says ‘Parliament did not intend any substantive changes’ and it could reasonably be argued that changing courts’ names would not affect the ‘composition of the Supreme Court of Canada’ and would require no constitutional amendment. But what if Quebec were to rearrange its courts creating civil and criminal divisions, including civil and criminal courts of appeal? In that case it could be argued that judges serving on the criminal courts might have poor knowledge of civil law, the principal purpose of having Quebec judges on the Supreme Court of Canada. If Parliament amended the Supreme Court Act to reflect the rearrangement, even excluding judges from the criminal courts, would that still not affect the ‘composition’ of the Court? The Court might say the change was consistent with the purposes, the values, the principles or whatever behind Section 6 and in the Constitution, but that would effectively amount to the Court saying it approved of the change and did not think provincial consent was required, even though the Court’s ‘composition’ was affected. So that the standard for when an amendment to the Constitution is required would become whatever the Court thought questionable. And as underlying the question is the political fact that constitutional amendments with provincial consent are practically impossible, we should be left with a Constitution that could only be amended through the back door, when the Supreme Court of Canada approved and didn’t think the provinces should be asked to consent. And the ‘composition’ of the Supreme Court of Canada was given absolute protection, above its ‘essential features,’ for Quebec only. Only Quebec’s share in the Court could justify such entrenching. The other provinces have no special interest in the Court’s composition. It might have made more sense simply to subject the ‘composition’ of the Court to a Quebec veto. But that would have been politically awkward, so Quebec was given an effective veto by means of the unanimity requirement. On this analysis, and adopting the Court’s method of speculating on what the provinces intended, it could be argued that if Quebec expressed its contentment with an amendment to Section 6, it would not affect the ‘composition’ of the Court within the ‘framers’ intentions and no amendment with unanimous consent would be required. seeming to invite the kind of argument I have outlined. The obscurity of the ‘matter’ of ‘the Supreme Court of Canada’ in 42(1)d raises the question whether any legal change to the process of appointment of Supreme Court of Canada judges would require provincial consent. The ‘process’ of appointment adopted by Stephen Harper culminating in an ad hoc Supreme Court Appointments Selection Panel made up of MPs and an appearance of the ‘nominee’ before another committee of MPs is not provided for by law. As happened with the appointment of Thomas Cromwell in 2008 it can be scrapped. But if we decided to ape the Americans and require parliamentary confirmation of Supreme Court appointments by law, would that not affect the ‘essential features’ of the Supreme Court of Canada, one of which, according to the Court, is its independence. A legal process of confirmation might be thought to enhance the Court’s independence, though it also might be thought to subject it to more partisan political influence. It should not be for the Court to judge whether such a change is for the good or enhances the values of the Constitution. It either touches the ‘matter’ protected by paragraph 42(1)d or it doesn’t. If that matter is the Court’s ‘essential features’ and one of them is its independence, that can only mean precisely the degree and kind of independence it now enjoys, and not just that and nothing less, but more is OK.
And should Harper’s extra-legal ‘process’ become politically entrenched, impossible to get round, what then? Harper’s Senate election legislation, now before the Court, is defended on the basis that it makes no change to the law on Senate appointments. It only provides a means of consulting the voters, but the voters’ choices can legally be ignored. The expectation obviously is that it would be politically impossible to ignore the voters’ choice, though Jean Chrétien did. 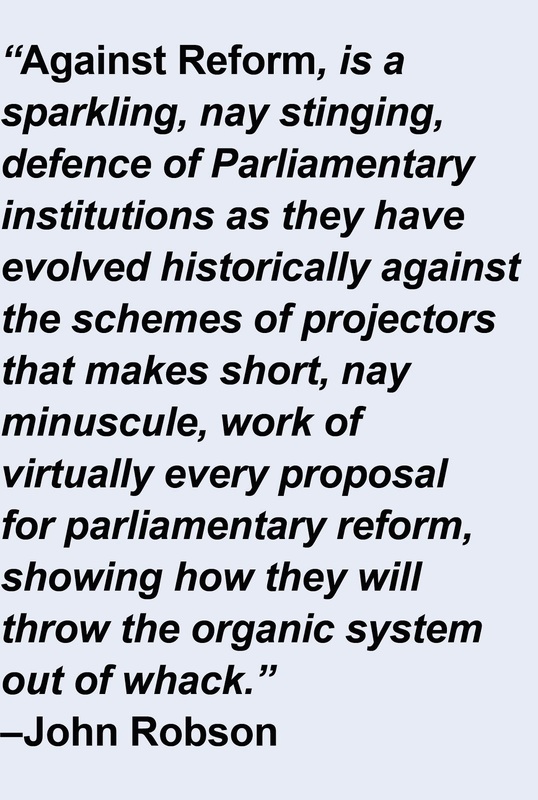 But Chrétien was ignoring the choice of voters in elections held under plainly unconstitutional provincial legislation. What if the elections/consultations are provided for in legislation passed by the Parliament in which the Senators are to sit? Some have speculated that the Court’s reasons in Nadon bode ill for the Senate Reference. That its readiness to say a constitutional amendment would be required to make Federal Court judges eligible for appointment to Quebec seats on the Court indicates it will say Harper’s Senate plans will require constitutional amendments. But that would be to assume a lucidity, rigour and probity not evident in the Court’s reasons.